When life delivers the unpredictable and you’re struggling to make ends meet, you could get the cash you need from Check `n Go Lapeer. 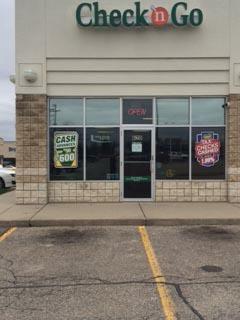 * Our Lapeer store offers a variety of services from payday loans, cash advances and check cashing. In MI, Check `n Go offers payday loans from $50 to $600. Visit one of our helpful customer service representatives for a fast, friendly and hassle-free experience. Check `n Go Lapeer is easy to find, located next to Hallmark. We also offer Netspend® Prepaid Mastercard®. Apply in person. If approved, receive your cash on the spot. You can also apply online and once approved, you could see the money in your checking account as soon as the next business day*.